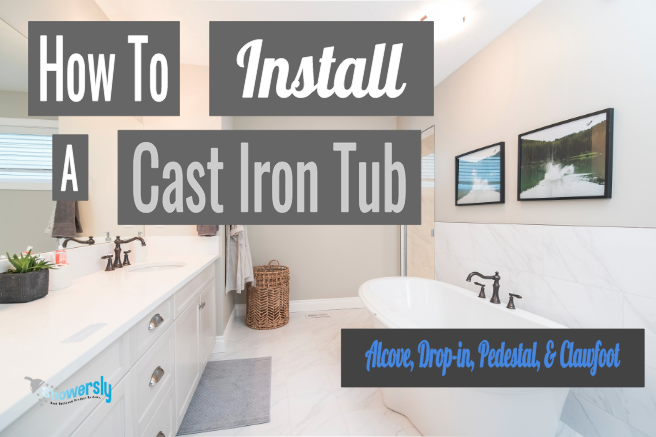 If you’re wondering, “How to Install a Cast Iron Tub?” you’re not alone. 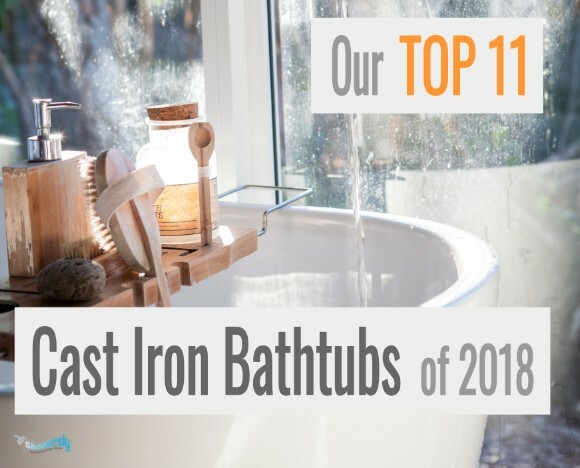 Many home owners fall in love with cast iron tubs for their bathroom re-models, but due to their added weight, more questions naturally arise. 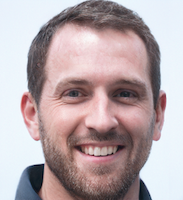 I’m here to answer those questions, and also, as an added bonus, give my pro tips along the way. 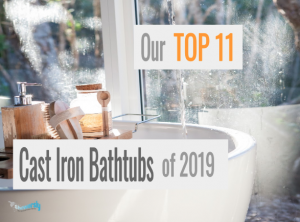 If you need help selecting a cast iron tub, check my guide to the 11 best cast iron tubs of 2019. You won’t want to miss it. 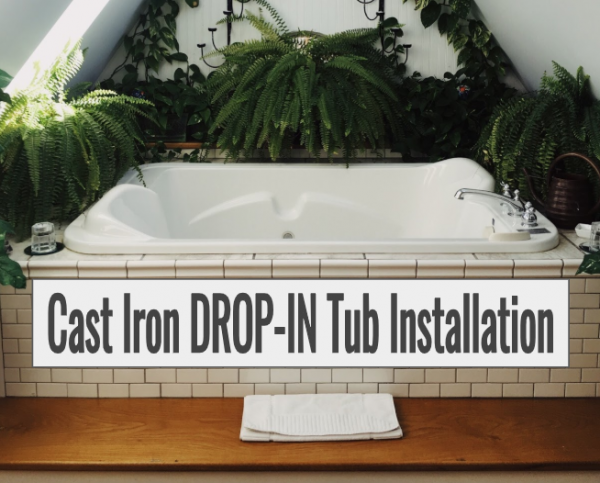 I hope that this page lifts the curtain of mystery on, “How to Install a Cast Iron Bathtub,” and that you enjoy yourself while you’re learning. Now lets get started. Make sure your subfloor is level. Also, check if it needs repairs, and/or reinforcement. 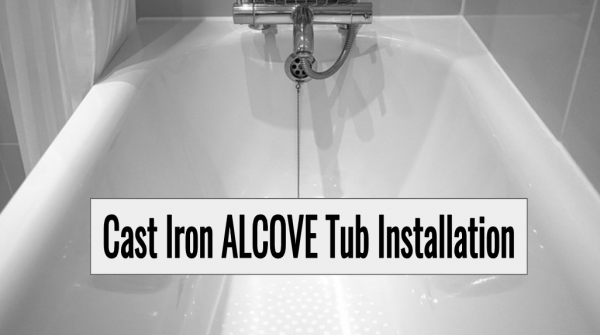 After reading this page, you should have a good idea on how to perform your cast iron bath installation. 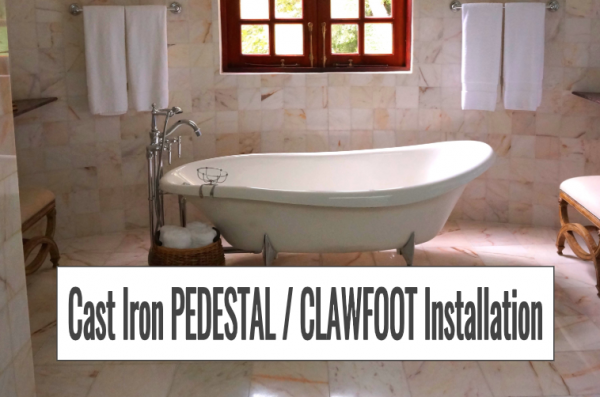 Again, as we’ve said many times throughout this guide, cast iron tubs are HEAVY, so you MUST check if your floor / subfloor can support this significant amount of added weight. Once you get the green light, that your floor can support the weight, you’re all set to enjoy LONGER, and WARMER baths. After taking your first cast iron bath, good luck trying to go back! Disclaimer: If you’re unfamiliar with installing bathroom fixtures, and plumbing, consult with a professional BEFORE attempting to install. Showersly will NOT accept liability for any damage to tubs, floors, walls, and/or personal injury, due to improper installation. To prevent improper installation, follow the exact instructions provided by each of your equipment’s manufacturers. Use this page as a mere guideline, not exact instructions.